Your gut is one of the wisest parts of your body. 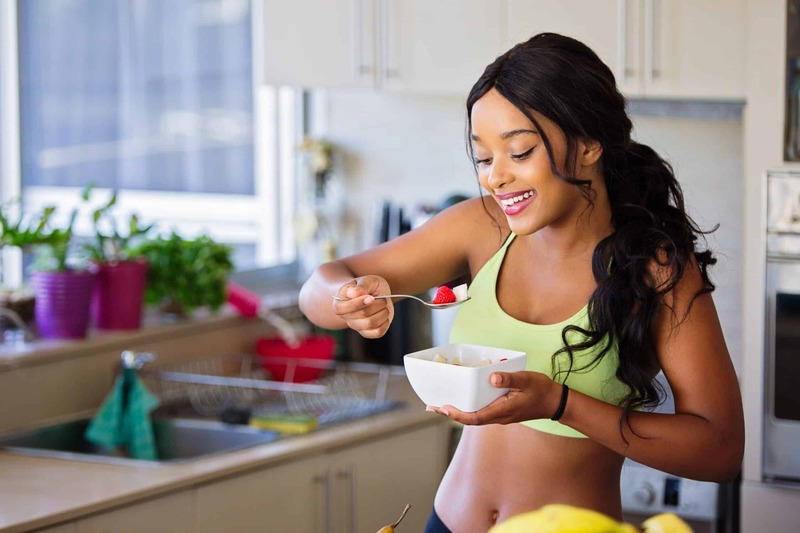 Just like the brain, which gets smarter through ‘life experience’ – your gut also accumulates a lot of information over time regarding which foods suit you best. What an amazing piece of equipment! It’s like having an inbuilt nutrition guru, always keeping you in check and constantly looking after your best interests – tailor-made and absolutely free! So why don’t we listen to our guts a little more? Why do we often feel tired, bloated, make poor nutritional choices, overeat, binge on sweet foods – where’s our guts advice when we need it most? The fact is, that voice of wisdom is always there. We have simply forgotten to pay attention. Our fast-paced world has resulted in ‘multi-tasking’ being the norm these days, not the exception. Because of that, we have lost the habit of ‘being wholly present’ with our food. Instead, we eat when talking on the phone, tapping away on the keyboard, driving, standing up, or working towards a project deadline. Eating in this fashion may save us time short term, however, there is a bigger price to pay further down the line. The facts are that if you don’t pay full attention to your gut when you eat, the brain will signal you to consume more food than needed. This habit will lead to a plethora of health issues such as hormonal imbalances, gas, bloating and excess weight – just to name a few. ‘Where attention goes, energy flows’ – this quote is very true for the brain-gut connection. If you are trying to work at the same time as digesting your meal, you are creating a stress response for your body. If blood is needed in the brain because you are in need of brain power, it means less energy goes towards digestion. Consequently, poor digestion leads to higher levels of inflammation within the body, and undigested foods are seen as an alien, forcing the immune system to triggers all kinds of autoimmune preconditions. Poorly assimilated food also means the body has received the calories, without the nutrition. You’ll feel hungry again far sooner. Disaster for weight management! So how do we stay on track? What lessons does the gut try to show us? Perhaps we need to re-think our world a little and learn to slow down when it comes to life, but especially when we are about to eat our food. When you eat, concentrate fully on the food in front of you, turn off external distractions such as phone and iPads. Don’t eat standing or moving. Sit at a table and relax your body. Take some slow deep breaths and look at the food in front of you and ask your gut if this truly is the best choice you could make for yourself right now. Chew well. It takes 20 minutes for the receptor sites in your stomach lining to tell the brain you’re full. Eat to the point of energy. A great tip from The Slow Down Diet by Marc David. He talks about asking the gut to let you know at what point you could put down your knife and fork and walk away with more ‘prana’ or ‘energy.’Think about making your body and brain feel more alert and vital, instead of heavy and overburdened. The gut always knows, it just takes a little practice.